Hammersmith & Fulham RFC (aka Hammers!) are a local rugby club offering weekend matches and training for members. They have a youth section catering for children from 8 to 15, and a senior section catering for adult players and have been running a successful sports membership company since 1977. 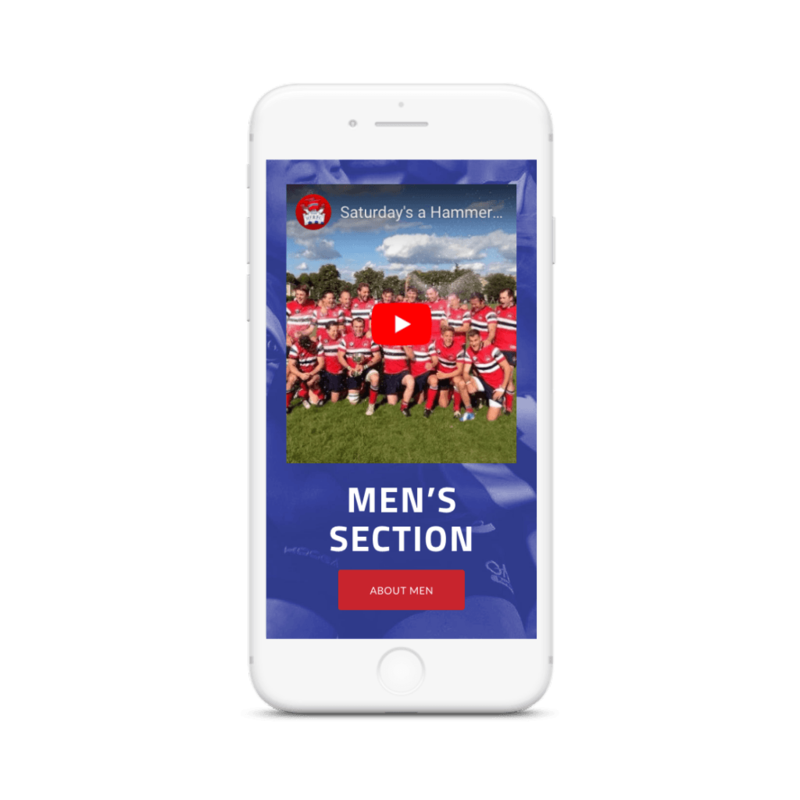 Hammersmith & Fulham Rugby Club needed a refreshed website that projected their ethos and offerings in an impactful and user-friendly way that appealed to users that spanned a range of audiences. It was important to have two distinct sections to the website, demonstrating memberships for both youth and senior members, and how users can sign up to become a member. As well as this, a key reason for implementing a website design and development upgrade for HFRFC was to incorporate a membership area into the website. 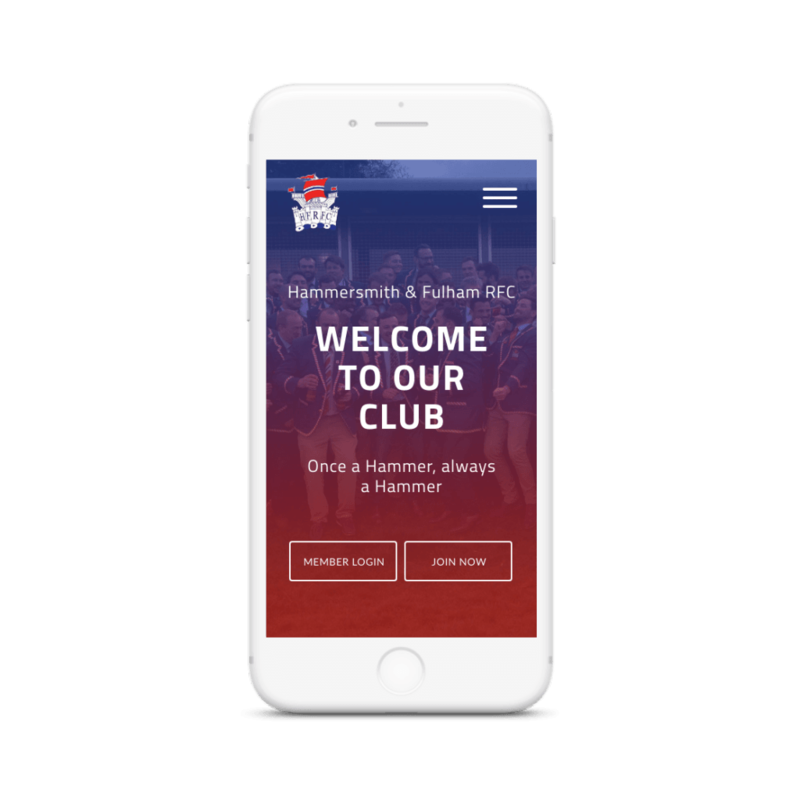 To add the relevant functions that would allow online membership applications, our design team worked closely with Hammers to incorporate technology that would bring the joining process online, and would benefit the club and its members as well as being built on a visually appealing site. At the heart of the design process was the aim of attracting new interested individuals and rugby enthusiasts. It was also important to the club that the user could easily navigate their way through the website to the information that they required, and as such the wireframes and website architecture put together by our designers put the user journey centre-stage. Our design and development teams created a website that is split into clearly defined areas for each category of members including Youth, Senior, Mens, Ladies, and VETS. This level of structuring to the website helps a potential member navigate to relevant information. The online membership module that Foundry Digital developed makes becoming a member more convenient and easily accessible. Simultaneously, for the committee members and staff of Hammers Rugby Club, the eCommerce platform allows them to manage memberships more efficiently.